Ted’s first pick proved to be his best. But, is his draft-and-develop philosophy now holding the Packers back? 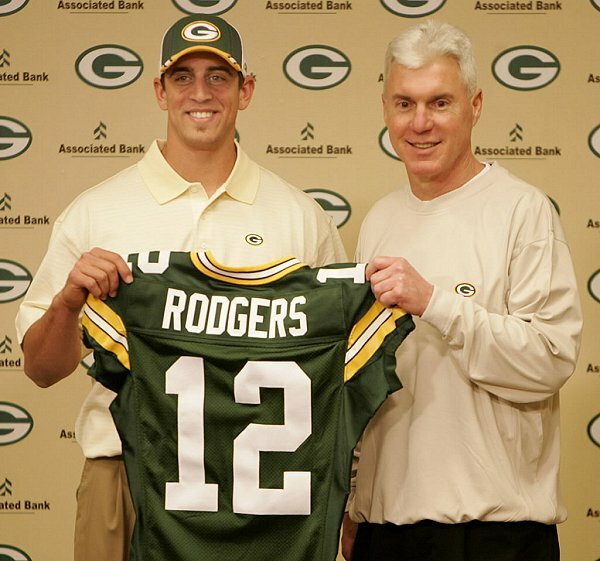 To be clear from the start, I am a Ted Thompson apologist. He inherited a team rife with aging and overpaid veterans, along with a cap figure that left little wiggle room. He tore it down before rebuilding it into one of the best teams in the league on an annual basis. And to top it off, Thompson used his first ever draft pick on Aaron Rodgers – mind you, Favre was still a near-elite QB that wanted more weapons to make one final push for a SB. Instead, Thompson trusted his board and his philosophy, and took the best player available. It proved to be the best selection he ever will make. But, making that selection was gutsy for a new GM. So, yes, I’m an apologist and will always respect and trust Ted. But, that trust is being pushed. Then, the Packers need to continue to retain its core players, many of whom have expiring contracts in the near future: B.J. Raji, Sam Shields, Jordy Nelson, James Jones, JerMichael Finley, Morgan Burnett, and Desmond Bishop. It’s a daunting task to figure out how to get all or most of these players retained in order to keep the critical core of this team together. Of course, Thompson planned for this, which explains the nearly $20M in cap room currently available – likely ready to be shipped to Rodgers and/or Clay. This also explains why Thompson has yielded the free agency spotlight to others – again. So, Thompson cannot be a major player in free agency. But, the Packers are not completely hamstrung by the cap either. They just have to spend their money wisely. And this is where I’m losing faith in Thompson, for two reasons. First, Thompson does not dabble in free agency, at all. 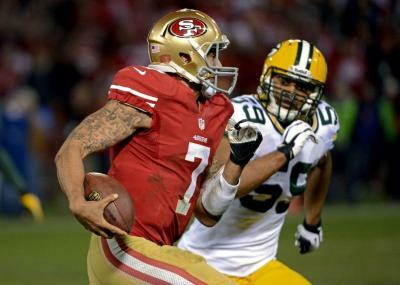 Teams in the Packers’ position – i.e. one of the SB favorites every year – has only a few holes that need to be shored up to solidify its chances at the SB. Filling these holes can be accomplished by adding a veteran – at the right price – via free agency. For instance, the Packers run game has been nonexistent for years. Combinations of Ryan Grant, Brandon Jackson, James Starks, Alex Green, and Cedric Benson have been unable to take advantage of one of the most lethal passing attacks in the league, which should open up plenty of space for the run game. This offseason, Stephen Jackson signed a 3-year, $12M deal with Atlanta. Yes, he’s old. But’s a rare breed of running back that inflicts the punishment rather than taking it. Plus, even if his play is on the decline, it’s still a step-up from what our running game has been. A thunder-lightning combo of S. Jax and DuJuan Harris could have finally ignited the running game. At $4M a year, it was an affordable deal that would have paid huge dividends. Similarly, the Packers defensive line needs immediate upgrades, especially with Jerel Worthy’s late season injury making his return this season doubtful. The Packers have been unable to find Jenkins’ replacement since his departure. And, predictably, the defense has struggled mightily with the lack of pressure being a major reason why. This offseason, both Chris Canty and Cullen Jenkins signed team-friendly deals. Either would have improved our line play. Thompson rarely takes this approach. And, I believe, failing to will prove costly come playoffs. Second, Thompson has developed a nasty propensity to resign his own players at inflated values. A.J. Hawk was inexplicably signed to a huge contract extension following the 2010 Super Bowl run. Hawk proved to be reliable, but reliability doesn’t justify the amount of money Thompson gave him. Eventually, he became the 5th highest paid player on the team. Hawk rewarded the Packers with two consecutive seasons without a turnover and being the definition of an average starter. Thankfully, he took a big pay cut this offseason, but such a contract certainly limited the Packers’ maneuverability. The starting ILB that was part of the reason why Kaepernick single-handedly defeated the Packers now is the 10th highest paid player on the team. Unfortunately, Thompson didn’t learn his lesson. Just recently, the Packers resigned Brad Jones – the former special-teams, third-string LB – to a 3-year, $11.25M deal, $3M guaranteed. He is now the 10th highest paid player on the team. To put this deal into perspective, Jones is making just under what S. Jackson will make. Who’d you rather have? A bruising running back that routinely accumulated 1,300 total yards for one of the worst offenses or Brad Jones, a special-teamer and backup LB? And in case you think this overvaluation is strictly limited to linebackers, John Kuhn is scheduled to make $2.35M next season. There is simply no excuse for these types of deals. Thompson, always the penny-pincher when evaluating outside talent, needs to be consistent and evaluate his own players in the same fashion. Hawk, Jones, and Kuhn – though valuable players to a 53-man roster – can be replaced without a drop-off in production at a much lower cost, clearing up room that could be better spent to fill in the holes on the roster. Thompson’s draft-and-develop philosophy allows for sustained success. But, drafting-and-developing – especially when you continually draft in the lower part of each round – rarely yields the type of immediate impact players needed for Super Bowl contenders. Thompson must invoke a better balance of drafting-and-developing combined with dabbling in free agency. With Rodgers at the helm, the Packers will always be one of the best teams in the conference, routinely challenging for a Super Bowl. But, the window of opportunity continues to shrink with each passing year. Do we trust Ted to put the Packers in the best position possible to succeed in January and February? Day 2 of the NFL Draft proved just as active Day 1 with trades up and down the two rounds. And, the two local squads flipped their tactics from Day 1 to Day 2. The Packers made two trades to grab two guys they covet, while the Vikes sat back, relaxed, and let a good player fall to them. Let’s take a look at how the two local squads fared. Entering the 2012 NFL Draft, the Packers needed players at all levels on defense. With their first three picks, the Packers added a quality player to all three levels on defense. After landing an uber-talented, athletic freak in Nick Perry, the Packers needed to add some DL and secondary help on day two. As we discussed, armed with too many draft picks, it was time for TT to make a move and jump up in the 2nd round to get a player that falls. As if he read the article (and why wouldn’t he have? ), TT did exactly that, TWICE, in the second round. Sitting with the 59th selection, TT moved up to the 51st selection to select the falling Jerel Worth, DT from Sparty. 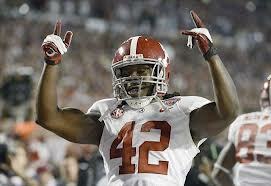 Worthy is a mammoth of an individual, standing at 6’2″ and 308 lbs., who also can run the 40-yard dash in 5.08 seconds. He has tremendous get-off, known for his ability to anticipate the snap and wreak havoc in the backfield. He’s strong, powerful, and quick. Basically, he’s exactly what the Packers need on the defensive line. Of course, he wouldn’t have been a second-round pick with this background if there weren’t some red flags. Worthy, like many big defensive lineman, had a tendency to take plays off in college. He flashes some dominance and then disappears for stretches at a time. And the downside to his get-off is that he was often flagged for offsides last season. You can be sure opposing offenses will take note and work on Worthy with the hard-count. Despite these few red flags, Worthy was absolutely the right player to trade up and target. He cost only the Packers 4th round selection – which is not a huge loss considering the Packers have two compensatory picks in the 4th round still. TT’s decision to move up was also well-timed as two other defensive linemen followed the Worthy pick, including Devon Still, the other Big Ten DL that was linked to the Packers. Worthy was the best prospect of that group, and a coup for the Packers to get in the middle of round 2. Not resting on his laurels, TT moved back into round 2 when he dealt the 3rd and 5th rd. picks to The Hoodie for the 62nd overall selection. TT plucked Casey Hayward, CB from Vanderbilt. Hayward is 5’11”, 185 lbs., and runs a 4.57 40-yard dash. Mike Mayock, NFL.com’s draft guru, calls Hayward an instinctive corner, and has the second-best hands in the draft for a corner, behind the no. 6 overall selection, Morris Claiborne, which is backed up by his 7 INT’s last season. One more encouraging stat is that opposing offenses completed only 19.5% of the passes thrown his way, which is even more impressive considering he played in the SEC. Hayward’s downside is that he is limited in his man-to-man coverage skills. His overall speed is only average, which will cause him to struggle keeping up with the speedy, twitchy type WR’s – think Percy Harvin. But, he plays well in zone coverage, reads the Quarterback well, and trusts his instincts. Again, TT anticipated what would happen well, and jumped up to get Hayward before a couple other CB’s were selected, including one by the Vikings. Realizing the need to grab quality players at critical positions, TT broke away from his M.O. and traded up to get two players that filled major voids. Packers fans should be thrilled with what TT accomplished with these two picks to go along with Nick Perry. The defense should be vastly improved. As a result, don’t be surprised if you see Greg Jennings do this (go to the :18 mark) early in the season because with these three picks, TT may have re-established the Packers defense as a top-end defense that can get them back to the Super Bowl. Well, if the first round of the 2012 NFL was an overwhelming success for Viking fans, then, the 2nd and 3rd rounds were a disappointing return to the norm. In previous drafts, like many other bewildered/clueless GMs, the Vikings brass have spoon fed the notion that they got the guy they wanted. In the third round of this year’s draft, that meant the selection of UCF cornerback, Josh Robinson. Robinson is an explosive athlete and, with the right coaching, could be a top end DB. The raw talent is definitely there. Unfortunately, this coaching staff does not have a great track record for coaching up the secondary. Plus, many draft experts have noted that Robinson was a great fit for a secondary that employs a scheme with an emphasis on man-t0-man defenses. This is the kind of guy to put on an island. His skill set (i.e. football smarts) might not transfer well to the Cover 2 that the Vikes try to run. This could be an issue. Instead of trying to trade up, Rick “The Schemin'” Spielman decided to stand pat and take the guy they wanted. Unfortunately, this meant passing up on two or three guys who might have been better fits for the Vikes. For instance, both Houston and the Hoodie were willing to trade out of the latter part of the second round. It likely would have only taken one of the fourth round picks that the Vikes had to move up and grab either Casey Hayward (that is right, THAT Casey Hayward), Rueben Randle (a WR with first round talent playing in a run-first system), or Trumaine Johnson (the guy STL took right before the Vikes). Hayward and Johnson were allegedly perfect fits for the Cover 2 scheme. Randle was exactly the kind of game-changing WR that could give a much needed boost to what could best be described as a one-man show. His skills, while unproven, were of the first round variety. And, he was only drafted a few positions before Robinson was taken. Yet, the Vikes laid back. Waiting for the guy they wanted. Now, if there are talented, potential starters in the 4th round that the Vikings brass are targeting (think another offensive lineman and additional defensive backs), then maybe it was right to relax and wait for Robinson to come to them. However, if Robinson cannot be coached up, one of those guys who could not spell C-A-T if you spotted him the C and the A, or, if there are no hidden gems in the fourth round, then it will be a wasted opportunity to not repeat the successful strategy from round one, where the Vikes leveraged later round picks into higher picks in the current rounds. In economics, there is a theory of evaluation simply known as the opportunity cost – the balance between scarcity and choice. For the Vikings, opportunity cost means weighing the scarcity of getting a guy like Rueben or Hayward, against the choice of keeping their 4th round picks. Ultimately, the maturation of Josh Robinson is going to determine whether the team made the right choice. Though, the opportunity cost that the Packers paid in the first round by not drafting Hightower or Upshaw might be exactly the same as the opportunity cost that could cost the Vikings a solid stater like Randle or Hayward. Stay tuned for more on the final rounds on Saturday. That is, when things get really testy. The first round of the 2012 NFL Draft was wilder than a substance fueled Charlie Sheen all-nighter. The picks came in so hot they actually had to queue selections to allow the television coverage to catch-up – which may or may not have been the most annoying part of the show. (This was not.) There was a flurry of trades within the first round with multiple teams jockeying for guys they think can help their team win. This included some shrewd activity, both early and late, by one of the Border Rivals squads. While the other Border Rivals squad sat back, relaxed, and enjoyed the High Life while he let the draft come to him. The following is both a review of what happened during round one and what could happen in Friday’s sequel. To kick things off, let’s start with the surprisingly active half of the Border Rivals rivalry. The Minnesota Vikings shrewdly swapped their 3rd overall pick for the Browns 4th overall and their 4th, 5th, and 7th round picks. This trade marked a departure for a Vikings management group that has never swung a deal like this, despite fans clamoring for it. As long as this author has been alive, the Vikes have never been the team to make the savvy, draft-day move. In fact, quite the opposite, this was the team that was late bringing its pick to the podium not once, but TWICE. And yet tonight, the Vikes made the perfect move, not once, but TWICE. Trading down from #3 was perfect because they not only landed the player they wanted anyway, Matt Kalil, but they leveraged the Browns into coughing up three additional picks. Then, they used one of those picks, to finance a trade to get back into the first round and get the other player they really wanted, safety Harrison Smith. Mount Kalil’s considerable skills have been detailed on this site’s pages here. His presence at left tackle actually improves the Vikes at two positions because now last year’s left tackle, Charlie Johnson, can move inside to guard. As for Smith, he is a solid safety who will consistently make the heady play. He may not be flashy, but, he will make the ordinary plays, extraordinarily well (shout out to John Gagliardi for that line). This kind of consistency will be a nice departure from the practice squad All-stars that manned the porous secondary last year. Ultimately though, the difference between this year’s draft being good and great is going to come down to whether the Vikings can replicate their mastery of the move in rounds two and three. Most draft “experts” agree that, barring a Tom Brady or Marques Colston suprise, this draft is about 100 players deep. That means the odds are in your favor for getting a decent NFL starter in the first three rounds. For that reason, the Vikes should use their bounty of picks in the later rounds to try and trade back into the second or third rounds. For a team with needs all over the field, two or three more decent NFL starters will make all the difference. Staying true to his M.O., TT patiently waited until his selection and (most likely) picked the best player available. Thankfully, TT’s best player available also happened to be the biggest need for the Packers – another OLB to rush the passer and compliment The Claymaker. 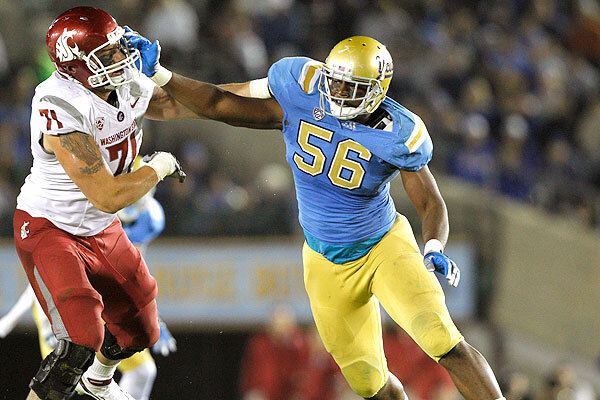 Going back to the well, TT selected USC’s Nick Perry (OLB) with the 28th overall selection. Perry started his career at USC playing the Elephant position (the same position The Claymaker made famous) and then converted to a DE force. In his final season (red-shirt junior year), Perry recorded 55 tackles and 9.5 sacks, good enough to lead the Pac-whatever-the-number-is-now in sacks. Perry is 6’3” and 270 lbs. He ran a 4.64 40-yard dash (third-best for an OLB at the Combine) and benched 225 lbs. 35 times (good for 5th best out of all defensive linemen). The experts report that Perry’s biggest strengths are his burst off the ball, his overall quickness, which is especially impressive considering his size, and his relentless pursuit. Clearly, TT found another stud in the first-round, right? Not so fast. Perry’s biggest weakness gives me cause for concern. He played primarily DE in college and any highlight package you see of Perry shows him with his hand in the ground. He undoubtedly has superior athleticism, but that’s not enough to win in the NFL. Even Perry proclaimed at the Combine that he’d prefer sticking his hand in the ground in a 4-3 over playing OLB in a 3-4. He knows how to get to the QB. But, it’s a complete guess whether he can fully play the OLB position in a 3-4 – i.e. can he play standing up, guard TE’s in open space, and not get lost in zone coverage. I have full faith in our coaching staff, most importantly Kevin Greene, to coach this young man up and get him ready – after all, they worked wonders with Frank Zombo in making him competent enough to start on a Super Bowl winning team. Still, it’s going to require some major coaching and there will certainly be some growing pains along the way to get Perry comfortable in his new OLB position. In addition to this primary concern, I’m also a bit frustrated TT didn’t make a move to trade up and get a player – namely, Dont’a Hightower, a beast ILB from Alabama. The Hoodie traded a 4th round pick to move up and grab Hightower. It’s a nominal price, particularly since the Packers have three 4th round selections this year. I coveted getting a thumper ILB to pair with Bishop. And even if Hightower wasn’t the selection, it would have been nice to see TT move up to get a player he coveted given the low cost and superfluous picks we have this year. Along these lines, it was somewhat surprising TT went with Perry over Courtney Upshaw, OLB from Alabama. Upshaw seems to be the more proven OLB commodity having played that position in a 3-4 in college and for the best defense in the country. My guess is Perry’s superior athleticism pushed him over Upshaw and TT has full confidence in his staff to teach Perry the position. All in all, I’m very pleased with the 1st round for the Packers. A position of dire need was filled with an unquestionably talented player. Perry comes from an elite program and is an instant starter for us. That’s what you want out of an end-of-1st selection. As for the 2nd-3rd rounds Friday night, I anticipate TT will continue to devote picks to the defense. The Packers own the 27th selection in both the 2nd (59th overall) and 3rd (90th) rounds. Stocked with three 4th round selections and 12 picks overall, I anticipate TT will not simply sit back and wait like he did in the 1st round. There is plenty of talent left on the board and believe TT could make a move up to grab a player he covets. He did this two years ago when he sniped Morgan Burnett, and it’s a model he should follow again this year. The Packers do not need 12 new players to add to the roster. Instead, the Packers need impact-players, ones that TT targets, and trades up to acquire. There are several DE prospects still lingering – Jerel Worthy, Devon Still, Kendall Reyes, and Jared Crick. Additionally, Courtney Upshaw, Lavonte David, Zach Brown, Ronnell Lewis, Andre Branch, Vinny Curry, and Olivier Vernon are OLB prospects that are still on the board. Finally, both Janoris Jenkins and Trumaine Johnson are CB’s that could interest the Packers. As you can tell, there’s a lot of talent for the taking in the second round. At least some of these players will start to fall. It’s time for TT to be aggressive and move up several spots to grab one of these players. Prediction: I see TT going after the front 7 on defense again in the second round. If TT makes a move, he will go after Reyes or David. If he sits back and waits, the pick will be Crick or Lewis/Curry. In the 3rd round, he should try to get secondary help. One name to keep an eye out for is Casey Hayward from Vanderbilt. If he avoids the secondary, this may be the spot TT addresses the OL – either a guard (remember, T.J. Lang is a FA next year) or center. For a change, both sides of the St. Croix should be pleased with the results from the 1st Rd. Friday night’s rounds 2 and 3 are just as important to both teams’ success. Enjoy the festivities and make sure to check back here for some reaction following the draft.